What a wonderful way to welcome friends and visitors to your home during the holidays! 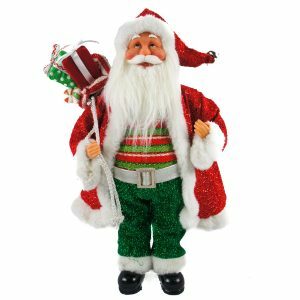 This charming Sitting Santa is a bright and spirited way to add some magic and wonder to the home, office, or other space as the Christmas season approaches. 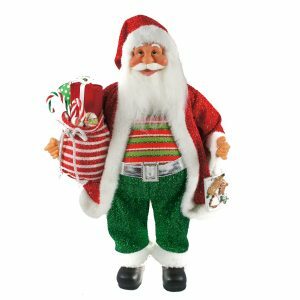 Measuring around 16cm wide by 30cm in height, this beautiful flocked Santa is soft to the touch, and captivating and colourful to the eye. Glittering boots and a snow-white beard add to his allure, while his arms hold a bevy of brightly wrapped packages. I wonder who gets to open them? This is truly a beautiful and magical piece that will amaze and delight young and old this season. 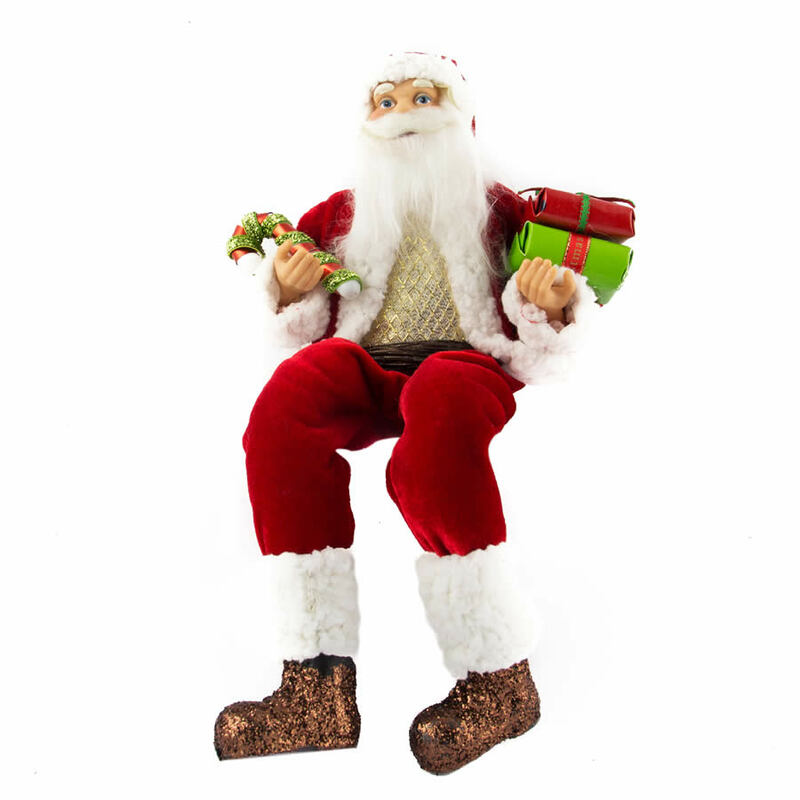 Perch him on a porch, in a chair, or on your mantle; place him near your tree or on a table for a festive touch. This would be an excellent gift to share with someone else, and it will likely become one of their most treasured holiday mementos.